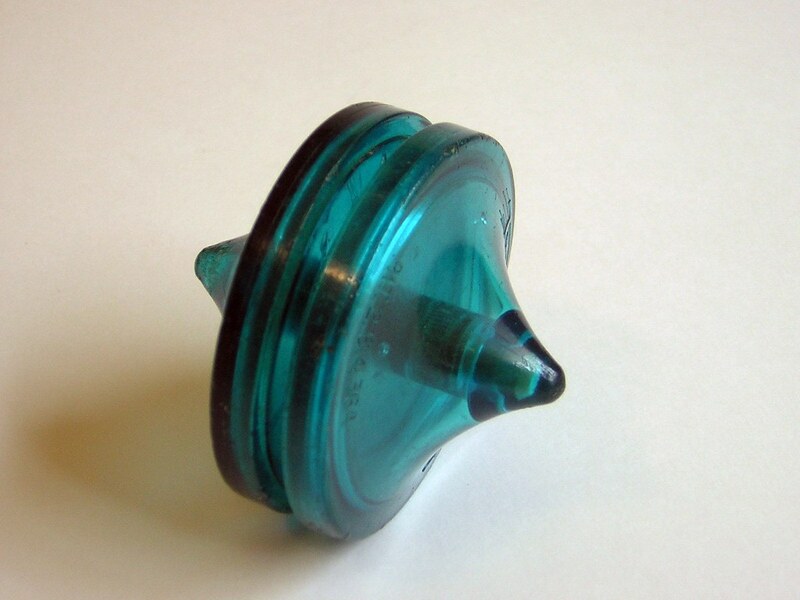 The Twin Twirler, made by Kusan in the 50’s and 60’s, was a yo-yo top combo. From what I’ve heard, the Twin Twirler was only sold in Chattanooga, TN (with the exception of the Kusan World Yo-Yo Contest in NYC)… Of course I found that out about a month after moving from Chattanooga to ST. Louis. I wish I would have known that I should have looked for Twin Twirlers while I was living there. 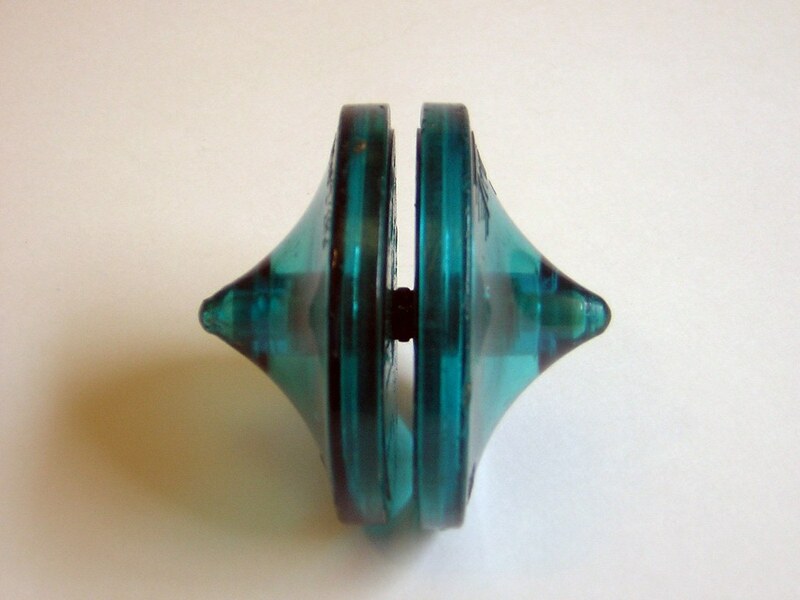 In this picture of a pack of Twin Twirler string (via Dave’s Yo-Yo Museum) you can see the two ways the Twin Twirler was intended to be played; as a top or a yo-yo. Bob Baab was a Kusan demonstrator in the 60’s. During a phone conversation with Bob in November of 2000, he described how he and fellow Kusan demonstrator Dale Oliver used to demonstrate the Twin Twirler. 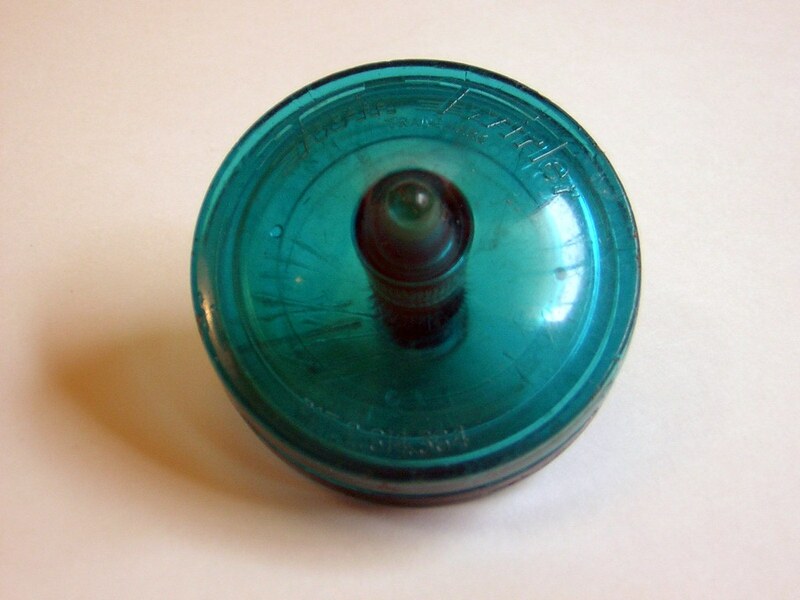 Bob said that they would wind up their yo-yo using the same offstring winding technique we use now, then they would throw their yo-yos sideways (parallel to the ground) and they would spin freely on the ground like a top. Bob went on to describe a method of getting the yo-yo back on the string and wound back up to the hand by sliding the yo-yo string into the gap, wrapping it around axle, and pulling. Baab was pretty much describing the beginnings of offstring yo-yoing. Throughout the years, Dale continued this offstring winding technique, but he started throwing the yo-yo from a forward pass and catching it on the string. It would take about 30 years though before Jon Gates would find a method of making an offstring yo-yo return to the hand. They actually made four modles of these each named after some flying creature. The name was only (as I remember) on the packaging. They had the Bat and the Eagle. I don’t remember the others. I have a few of these, one even in packaging, I’ll see if I can turn it up for you at some point. A bunch of these turned up on e-bay about five years ago in packaging. I only assume that they were new old stock from a find. They were also available and popular for a time on Long Island, NY during the 60s. Don't remember what model I had but I remember it being red. Ignatius, that's awesome! The sales of these yo-yos were almost entirely in Chattanooga, but for some reason the "Kissan World Championship" which was in NYC. You must have had good timing and seen them around then. Or, maybe they were sold in NYC for longer than I had heard. At $.39, the Falcon was the least epensive. Next came the Bat at $.59. I had the Falcon and the Eagle. They were a lot of fun to play with. I'm 55, so I got them probably around 1963 or so, when I was 8. They were advertised on local TV and sold in New york City where I still live. They turn up on eBay from time to time.